I had the most perfect all around day last Thursday August 4th at Coney Island. A great way to celebrate my 10th month birthday haha – my birthday is October 4th. I have always wanted to go to Coney Island and last Thursday the New Kids on the Block finally gave me a reason to go. 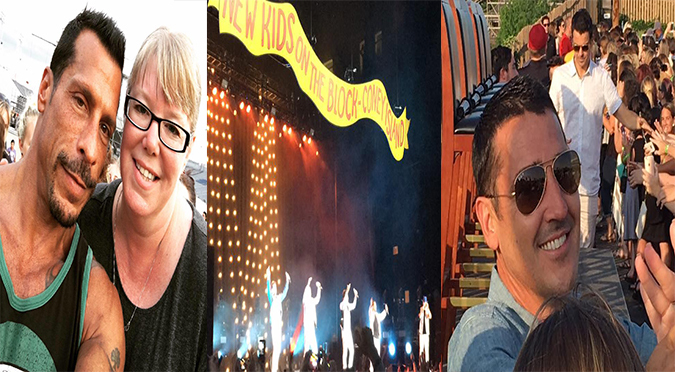 Coney Island did not disappoint – and neither did the NKOTB show at the new amphitheater on the boardwalk. It was a night full of surprise guests and spirited, heartfelt performances! I left my house in Maryland just before 9am and with no traffic on the Jersey Turnpike (surprisingly), I arrived at my hotel at Newark Airport by noon. I check in, dropped off my stuff in my room and was parked at Coney Island just after 1pm, thankfully it was an easy highway drive (not like driving through Manhattan). The first site I saw when I got out of the car at Coney Island was Nathan’s Hot Dogs, which turned 100 years old this summer. I was SO excited. I was finally at Coney Island, a place for whatever reason I had wanted to visit for years. On the other side of Nathan’s was Wahlburgers. It was packed inside, so I went upstairs and sat outside on the rooftop deck at the bar and ate there. I had finally made it to Wahlburgers! I wasn’t able to go when I was in Boston and it hadn’t yet opened when I was in Vegas last time. I ordered Paul’s favorite ‘Our Burger’, tater tots and root beer. It took a half hour, but it was worth it – SO yummy! I had a beautiful view of the Cyclone and the beach while I waited for my food – and Johnny was sitting right across from me. It was a beautiful day – clear skies, low temps, no humidity and a nice breeze. Right after I finished eating, my friend Vicky met me and we walked up and down the boardwalk. It was great to see Vicky, since we hadn’t seen each other since last summer at the U2 shows in New York. The boardwalk at Coney Island was beautiful. We saw the Cyclone, the Wonder Wheel, the old parachute structure, looked around a souvenir shop, ate some ice cream and sat outside Nathan’s and talked. I just love the beach. We walked down to the amphitheater where the NKOTB show and luckily was able to hear the sound check. The fence was covered up, but there was a small place to see through all the way in the back. We couldn’t see clearly with the bright lights making shadows out of the guys, but I saw white pants that I knew were Jordan’s. We could hear just fine though. I got in line for the VIP check in at 6pm and Vicky waited with me. By the way, my VIP got me 6 NKOTB pins, a laminated souvenir ticket and a postcard – no early entry or designated food, merch or bathrooms. But it was only $50 more than a regular seat would have been, so not a big deal I guess. After check in, Vicky and I started talking this nice (and cute) cop about U2 and the shows in NYC last summer. It was a weird, but cool coincidence. Vicky left when I went in at 7pm when the doors opened. I got a bottle of water and went directly to my seat as I was exhausted from my long day of driving up to NY then walking for hours in the sun and sea air on the boardwalk. My seat was was closer than I thought it was going to be. It was on the far left in the middle of the row – nice cushy seat though. It was a beautiful breezy night. Very cool to have an amphitheater on the boardwalk at Coney Island, which will be even better when they finish redoing the outside of it. Coney Island is a special place for New Kids on the Block because they first recorded there “Please Don’t Go Girl” and now Donnie films Blue Bloods in Brooklyn. NKOTB left the stage and Naughty By Nature appeared and started with “OPP!” It was crazy! The cop we were talking to before the show told me Naughty By Nature was going to open the show, but when they didn’t I thought he was just messing with me. After about a five minute set, Naughty by Nature left the stage and NKOTB reappeared singing my favorite “Step by Step” followed by “Cover Girl” and “Games.” The guys left the stage again and Tiffany appeared singing “I Think We’re Alone Now!” I was way more excited than I thought I would be. I actually really like Tiffany back in the day, more than Debbie Gibson. Joe pushed Jon on stage and Tiffany and Jon hugged. For those of you who don’t know, Jon and Tiffany dated back in the 1980s then Tiffany outed Jon a few years ago. Tiffany sang her other hit “I Saw Him Standing There.” Then the guys joined Tiffany on stage and thanked her for giving them their start. NKOTB opened for Tiffany in the 1980s, now they had Tiffany play a few songs during their show. Without Tiffany there would be no New Kids on the Block. A children’s choir alumni from Chicago took the stage and backed up Joe, Donnie and Jordan on their solos. Joe sang an especially poignant “Please Don’t Go Girl” and “5 Brothers and a Million Sisters” and Jordan sang “I’ll Be Loving You Forever.” Then NKOTB slowly launched into “Tonight” and after the first verse like always, they ran into the audience once again! This time our row moved down a bit so we were right in front of the platform and Jon popped up again. He waved to me, which was cute. Jon is looking good and seems more comfortable performing. After a few seconds, Jordan joined his brother – right in front of me! Then Donnie joined them. It was pretty great. It was obvious how much fun they were all having, even more than usual. Jordan was even dancing with his doll that someone had brought. When the guys finally returned to the stage, they introduced Nice N Smooth and then performed their song with them “Dirty Dog.” The show of course closed with “Hangin Tough,” but everyone joined them on stage: Naughty by Nature, Tiffany, Nice N Smooth, the Chicago choir. It was quite fantastic! The show ended just after 11pm. I was a little disappointed they didn’t play “Single” or “We Own Tonight” or “Survive You,” but I couldn’t be that disappointed because it was such a fantastic, exciting, emotional show! After the show, I bought a cool jersey-type NKOTB 2016 shirt then walked along the boardwalk back to Nathan’s. I wanted to eat a hot dog from the famous Nathan’s and had to let traffic die down anyway. I was too exhausted to even try to get into the After Party at Wahlburgers. After being in line for a half hour, I was finally eating a Nathan’s hot dog. I of course got mine with cheese and washed it down with their famous orangeade – SO yummy! I sat outside at midnight in the cool sea air reflecting on my wonderful day at Coney Island. Click here for all my photos from my perfect day at Coney Island with New Kids on the Block. After little sleep, the next morning I was on my way to Hershey, Pennsylvania for the MixTape Festival. It was any easy drive, a straight shot on 78 west. I passed Dietrich’s Meats and stopped for gas and was at my hotel a couple miles from HersheyPark just a little after 1pm. My room wasn’t ready, so I had a nice lunch at the What If restaurant – turkey, brie, avocado and honey panini with a really fine iced tea. Abbey joined me around 2:30 or so and we talked about all things U2 and NKOTB. Like Vicky, I hadn’t seen Abbey since the U2 shows in NYC last summer. Just after 4:30 I left for the MixTape Festival Pre Party backstage at HersheyPark Stadium. I pulled up and couldn’t believe how long the line was. But luckily they split the line up alphabetically and for some reason A-K had a lot less people in it than L-Z. But after that line, I had to wait in another line to get into the party. It was actually more of a herd than a line really. Once inside the gates just after 6pm, there was yet another line to get into where the actual party was. I refused to wait in another line, so I stood off to the side and watched them set up the chairs for the concert the next day – trying to see where my seat was. They finally let us in to the grassy knoll behind the stage. I was just going to hang back and sit one of the three picnic tables they had, but then I saw five chairs on the platform at the top of the hill next to the fence. I immediately went to the side of the chairs and was about four people back. NKOTB of course didn’t come out until about 6:45pm. Jon was the closest chair to me then Jordan then Joe then Donnie then Danny furthest away. When Jon came out he again gave me a cute little wave like right in my face – he was trying to shake my hand but it was just too crazy. So this ‘PreParty’ was more of a Q n A session than a party. The guys answered questions from the fans for almost 45 minutes. Some questions were ridiculous and some fans were really greedy just wanting one on one stuff from the guys. Let’s remember we as fans are not owed anything. NKOTB does not have to do events like this – and this one was free. Joey kept it real as did Donnie – both sort of telling some of the fans as subtly as possible to chill and not be greedy. After the Q n A, the guys walked along the fence to get selfies with everyone. Danny was the only who came to our side, so I decided to wait for him even though I love Jordan now I had loved Danny in high school (I even had the Danny pillow case). Danny came over and I thanked him and he took a really cute selfie of us. I was back at the hotel just after 8pm talking with Abbey and eating pizza until midnight. That day I had a newfound love for Jon, who is looking hot and gave me all kinds of love both in Coney Island and at the Hershey Q n A, and renewed love for Danny, who was my original fave (now Jordan is). We relaxed in our hotel room the next morning to rest up for the MixTape Festival that afternoon. We didn’t leave until about 4pm – the same time the gates opened. There was quite a bit of traffic getting into Hershey Stadium. So much so that we had to park all the over by the Giant Center, which we originally thought was the Hershey Arena where the After Party was going to be, but it wasn’t. Before going into MixTape, we made our annual stop in Chocolate World for their yummy outstanding Chocolate Peanut Butter Milkshake – so damn good! I went inside MixTape Festival just because I couldn’t stand how crazy crowded Chocolate World was. I got my wristband and went to the VIP section where we were supposed to have our own food, drinks and merchandise. There was a merch table with no line and a bar with a long line, but no designated food for us. So I decided to walk around the stadium looking for the Wahlburgers truck, but couldn’t find it. I bought a root beer and french fries at the back of the stadium and then of course saw the Wahlburgers truck. The line was way too long anyway. I sat in the shade next to the port a potty and relaxed because it was WAY too hot in that sun. When 98 Degrees came on, I headed to my seat, which was closer than I thought it would be and by that time pretty much in the shade since it was 6pm and the sun had started to set. I was about six rows from the stage about 10 seats to the right of the catwalk. Very U2-esque. 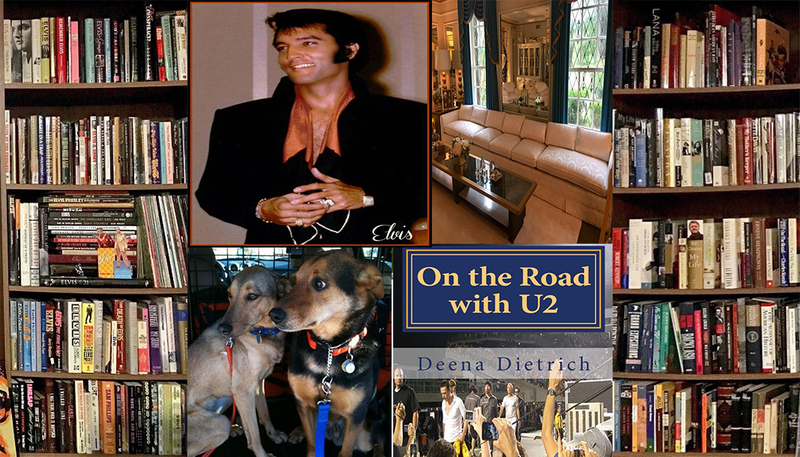 Thanks Rocco, who is both the stage manager for U2 and NKOTB. 98 Degrees was just as boring as they were on the Package Tour and Nick Lachey is just as hot. They did do a fun little 1990s set though including InSync and Brittany Spears. Boyz II Men took the stage at 7:30 and were wonderful as usual. I particularly was excited with their Nirvana cover. I don’t remember that from the Package Tour. Paula Abdul took the stage around 8:55, 10 minutes late. It was her first concert in 25 years. She was ok. A lot of prerecorded video stuff and choreography, but she looked fantastic. I did think her four costume changes for a half hour set was a bit much though. New Kids on the Block took the stage around 9:40 and played until 11pm. It was the same set as the Coney Island show except without all the surprise guests and no extra solos by Jordan, Joe and Donnie. For me the highlight of the show was when they actually sang the Steps during “Step by Step” just as someone had asked them to do at the Q n A the day before. But Jordan didn’t get the memo and kept quiet during Step 3, but Jon sang Step 5. It was great! After the show, we slowly made our way to the After Party at the Hershey Arena across from the back end of the stadium – not the Giant Center where our car was parked. The line wasn’t really that long although at first it looked it. I have never been to an After Party like this – in an arena. 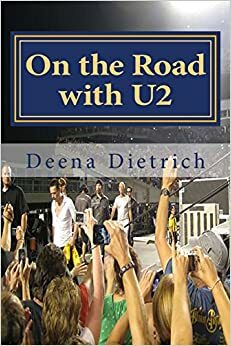 In the past they have been more intimate – all in bar settings and you could get close to the stage and the guys would get into the crowd and take selfies. But this party was nuts, and I was too tired to deal with it all. Abbey and I took seats behind the stage so we could see the guys walk in – and out as it were. NKOTB didn’t arrive until 12:15am. They all showed up though. Jordan and Joe danced on stage while Donnie and Danny went into the crowd and took selfies and gave hugs. Jon stayed behind the DJ booth and got really excited when “It’s Raining Men” came on! Jordon and Joe left first, and after a while so did Abbey and I. We were back at our by 1:30am. Click here to see all of my photos from the MixTape Festival. After two hours of sleep, the next morning I was up at 5:30am and home by 7:15am. It was a great weekend of NKOTB with my newfound love for Jon and renewed love of Danny. I only had question: Was this the first time no New Kid took their shirt off during a show?! Oh wow Deena!!! What an exciting weekend and of course a great blog!!! It’s so detailed it felt as if I were there. 😊😊😊 you made me laugh too with some of things you wrote!! Great job!!! Glad you enjoyed your time with me at Coney Island. Btw the sound check was awesome!!! Thanks Vicky for spending the day with me and not laughing at my fangirl antics.